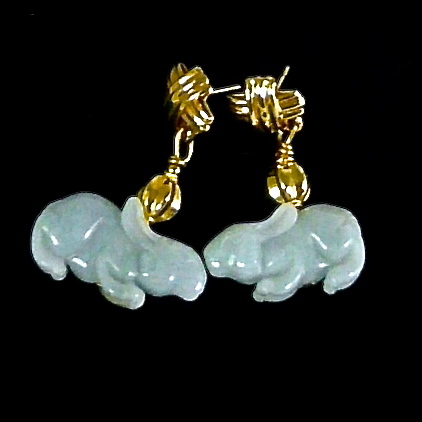 These blue jade rabbits are one of a kind earrings. 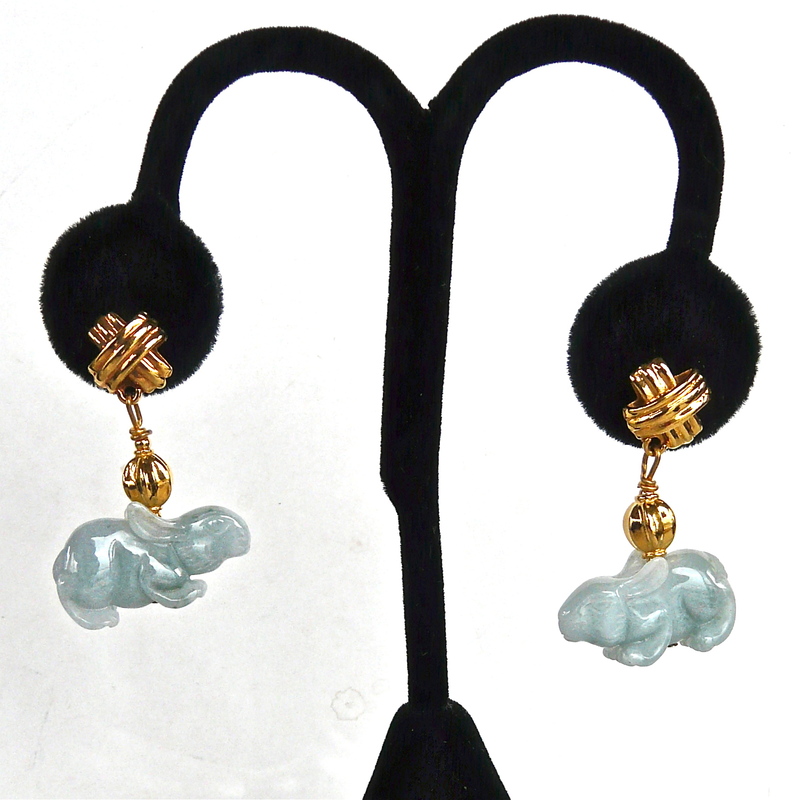 Blue is an unusual color for jade making these earrings very precious. The rabbits are exquisitely carved and have great symbolism. The rabbit is symbolic of virtue and speed and also symbolic of longevity. Chinese royalty has worn jade for centuries. It is believed to be a spiritual stone and has been called the jewel of heaven. It represents the five principal virtues: charity, modesty, courage, justice and wisdom. From cloudy white to golden brown, light to dark green, to rare lavender, jade is the most highly prized Asian gemstone. Jade has been regarded as the most precious stone for thousands of years. It is believed to protect the wearer and ensure good luck and good health as well as to increase life span.